Sometimes when I draw things, it's more like the characters draw themselves. I see them appear on the page and get all squealy, because surely nothing so cute has ever come from my pencil before. (I promise, it's not that I think that highly of myself!) Such was the case with the snow bunny that is on this month's calendar. 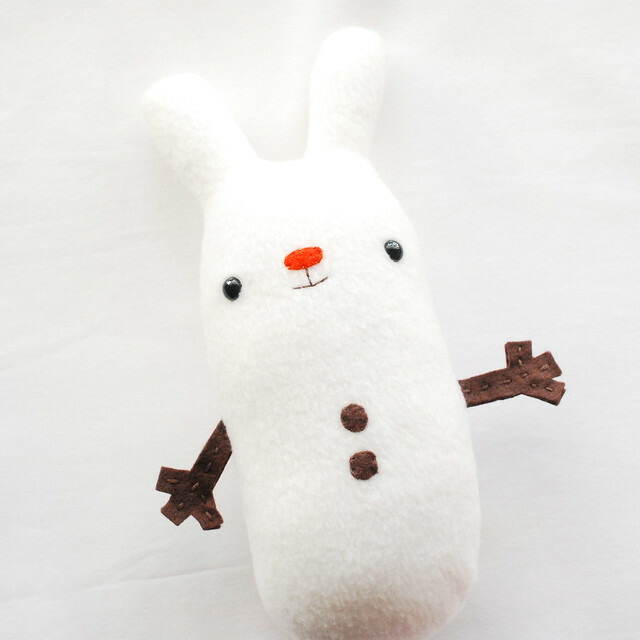 And as soon as I saw this little guy, I knew that it was going to NEED to become a little plush snow bunny that I could hug and love. 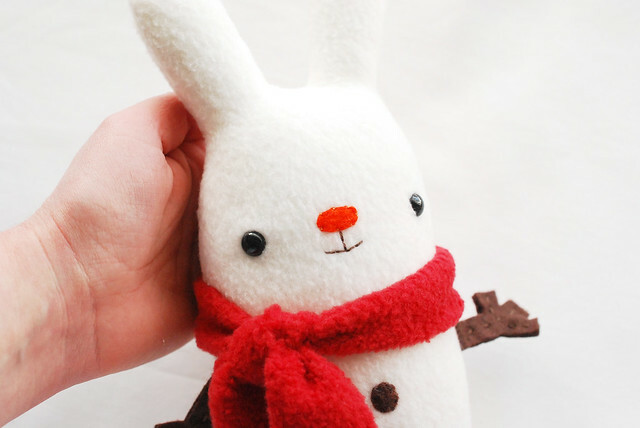 In a similar way, when I had finished sewing this bunny, I got all squealy, and fights broke out around here for who gets this bunny, along with requests for me to make a whole family of them...and one of them apparently needs to be pink. 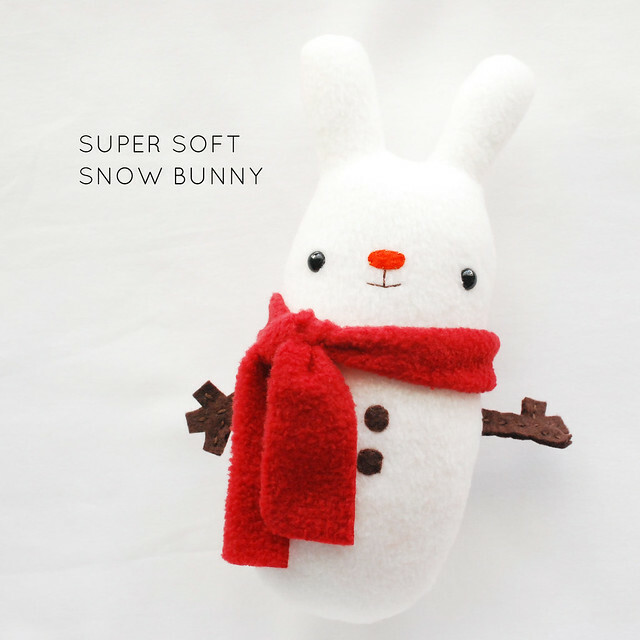 Anyway, if you'd like to make a super soft snow bunny, let me show you how! 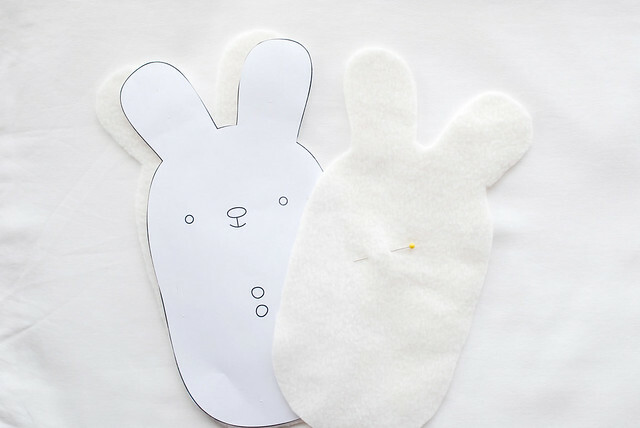 Cut out two bunny pieces from the white fleece. It's important to take note that fleece has a stretch. 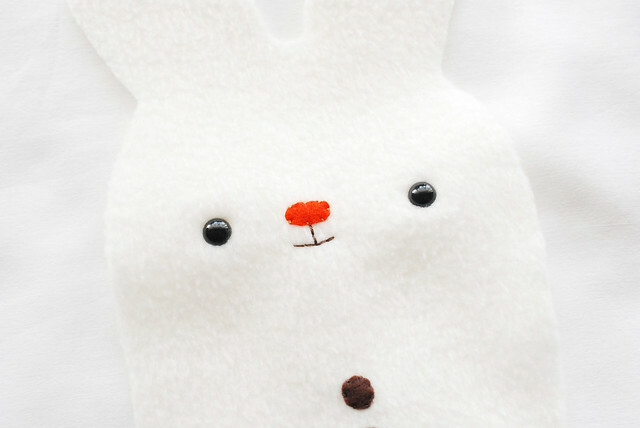 The fabric should stretch from top to bottom (marked on the pattern) for your bunny to match mine. 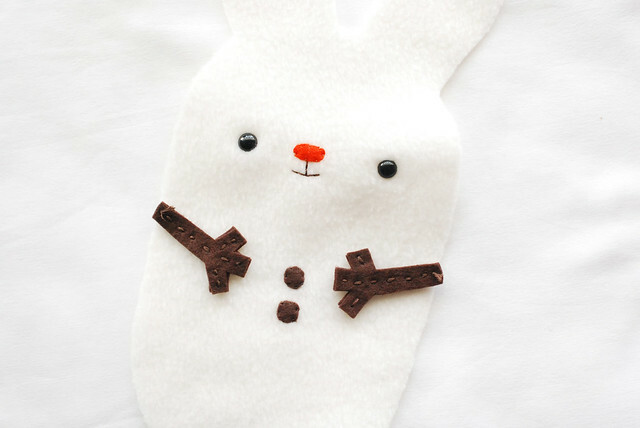 But you could do it the other direction...it would just change the shape of your finished bunny. Also, fleece does have a right and wrong side, but sometimes it's hard to tell. I marked my pieces with a pin so I always kept trace of the right sides. Cut out a nose from orange felt (it's a carrot!) 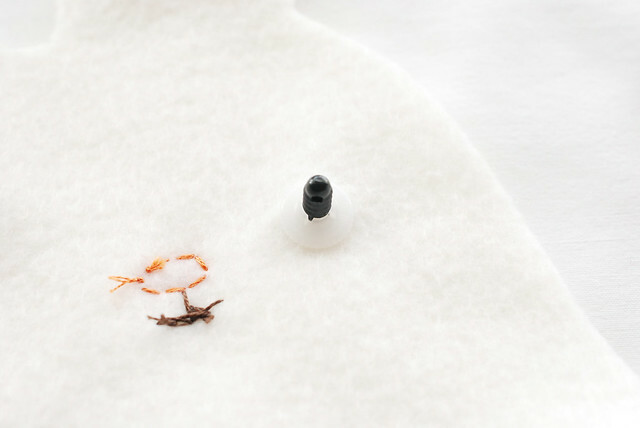 and two buttons from brown felt. 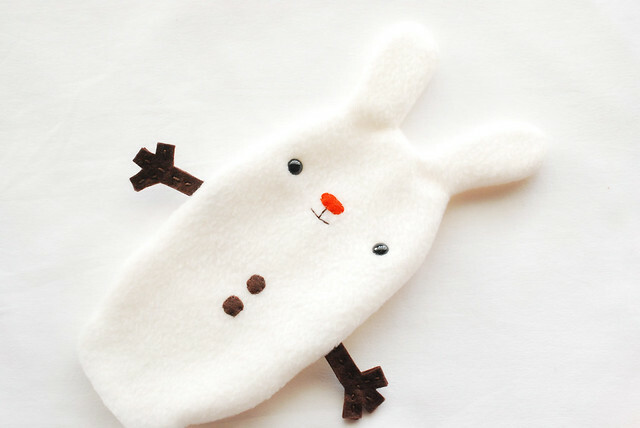 Stitch them onto the bunny's front, then embroider his mouth, using the pattern as a guide for placement. Grab those safety eyes. If you've never used them before, prepare to fall in love as I have. 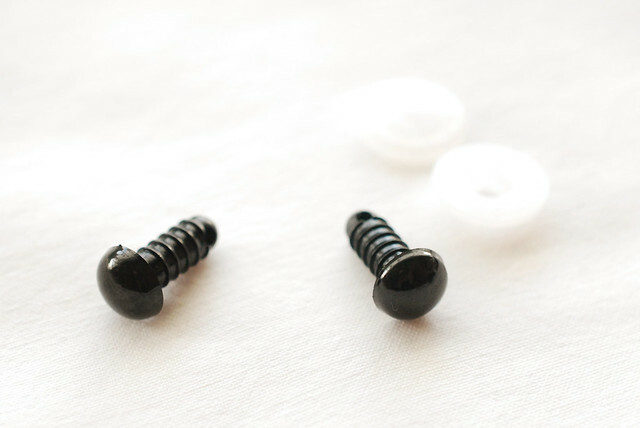 I find them to be perfect for making little Wild Olive faces! 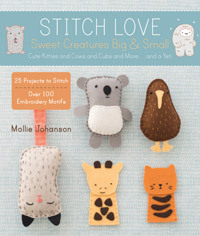 But if you're not big on these, or if you want to give this to a young child, you can use the button shape to make felt eyes. Use the pattern to find the right place for the eyes to go. Cut a small hole, which, with fleece and eyes this size is really more like a little slit. The fabric will stretch to accommodate the shaft on the eyes. Confession: This was when I first squealed. 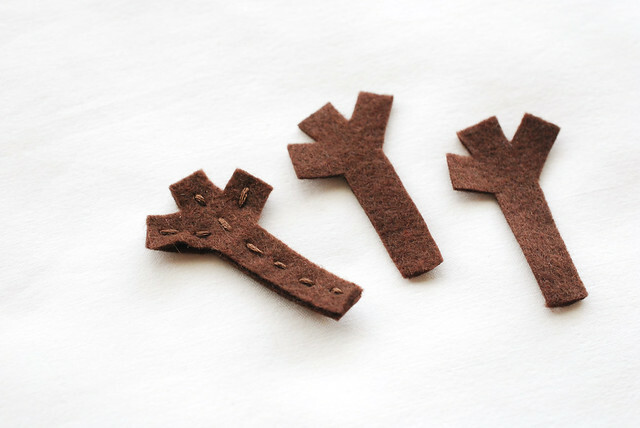 From brown felt, cut out four stick arm pieces. 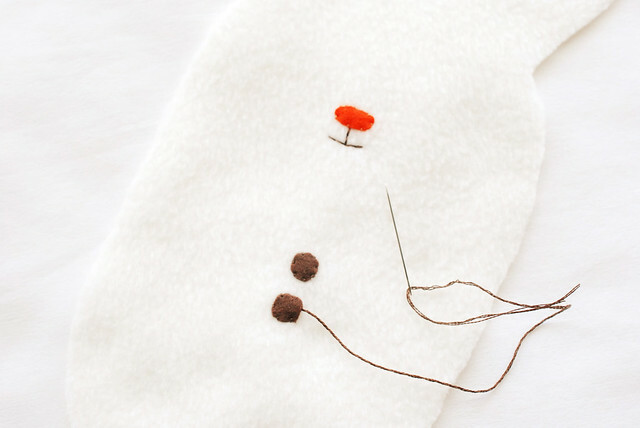 Stitch two pieces together with running stitch, traveling between the stick ends by going between the layers. Repeat with the second set of arm pieces. 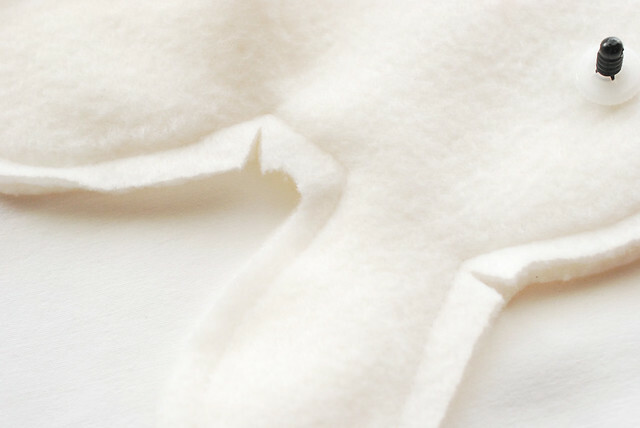 Cut a tail circle from white fleece and hand stitch it onto the back of the body. You could add a small amount of stuffing in there if you want, but I found that it had just enough puff all on its own. Place the arms so they are facing in towards the body. You can angle them how you want, although, you'll see soon that even with pinning mine in place, they shifted a wee bit. Oh, and although I'm showing this with the body front laying flat, this will be easier for sewing if you lay the back down, face up, then put the arms in place, and lay the front on top, face down. 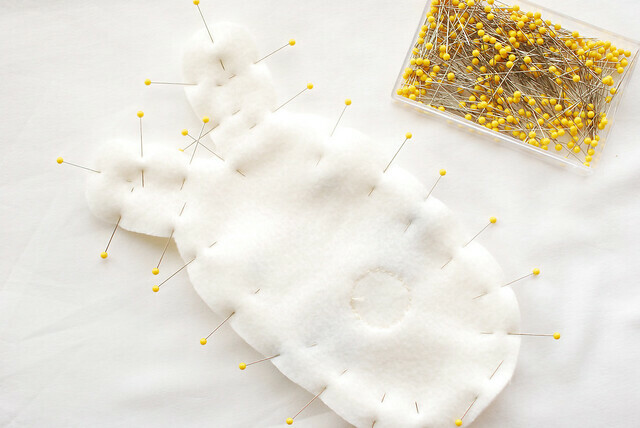 It works either way...it's just a matter of how lumpy it gets when sewing. 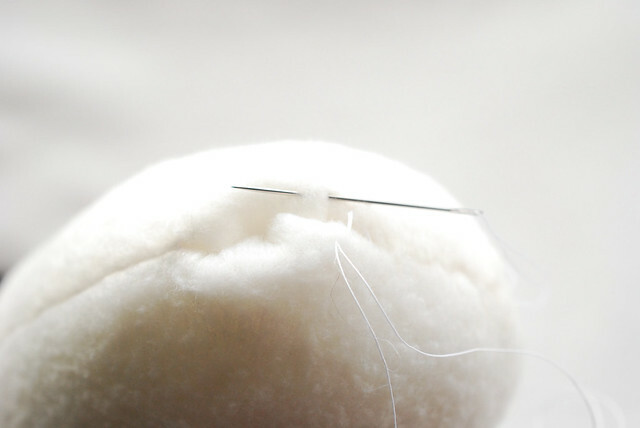 Sew around your bunny using the sewing machine with a 1/4-inch seam. 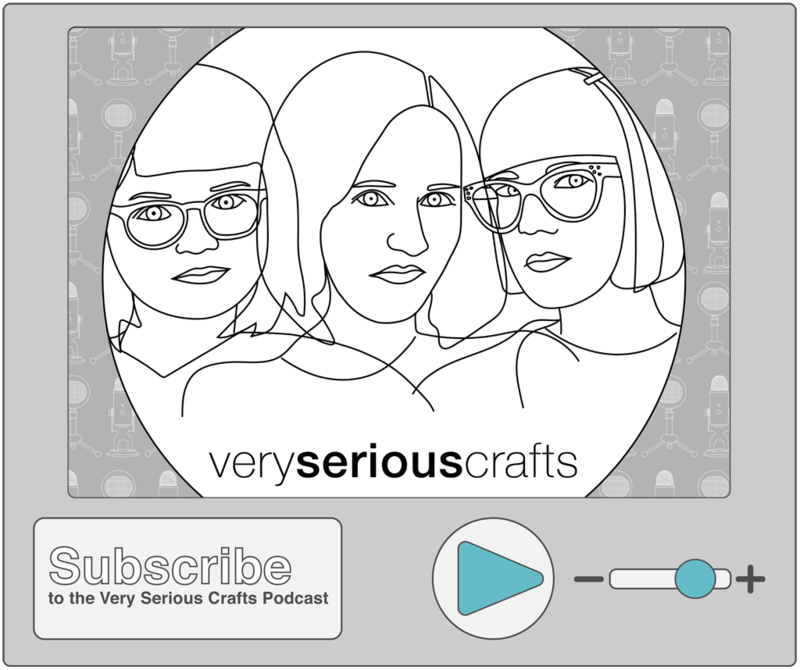 Be sure to back stitch where you start and stop, and take it easy on this ear curves to make sure you catch the fabric. Examine all your edges on both sides to see if you caught the fabric. If you didn't, go back and stitch any spots that you missed. 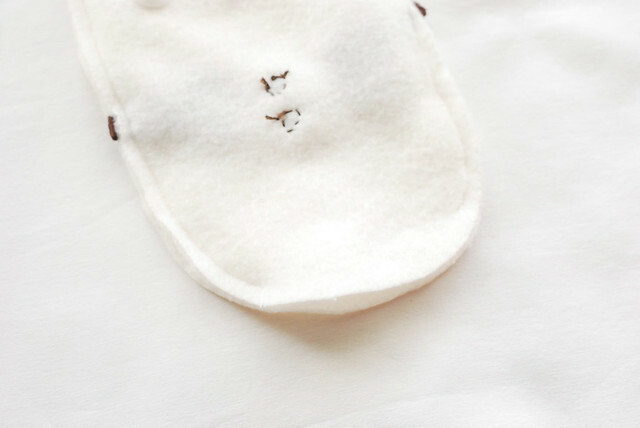 Oh, and clip the seam allowance at the corners on each side of the ears. Turn your snow bunny right side out. Turning the ears might require a little bit of coaxing, but this is where that stretch really is your friend! Start stuffing bunny! Begin by filling the ears, then stuff the rest of him. Be sure to make him nice and firm. 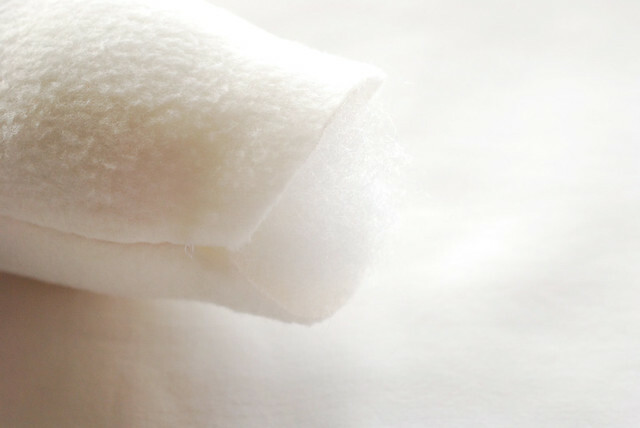 Fold in the open edges and use ladder stitch to close up the opening. Does he not make your heart just melt? But he still needs one more thing! Grab your piece of colored fleece. It should be cut to 1 1/2 x 18 inches. 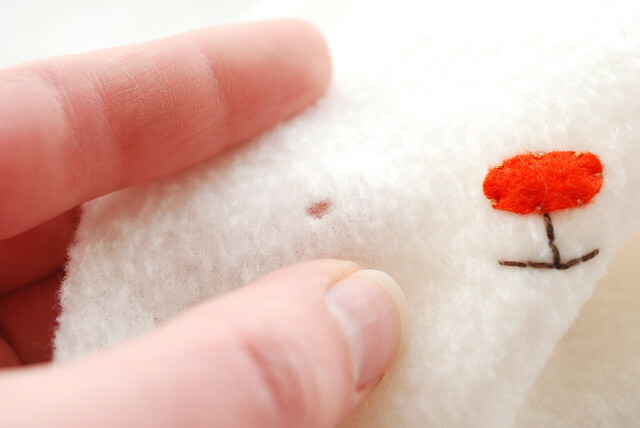 Run it through your hands a bunch of times, to help remove extra fuzz from the edges. Then, tie it around your snow bunny's neck. And here's the best part: it's okay to have him snuggle under the covers because he'll never melt into a bunny-shaped puddle! OHMYGOODNESS this is definitely going to be the cutest thing I see all week! Oh Mollie this is seriously the cutest! I love your pics too - awesome job woman! That is the most adorable thing ever! 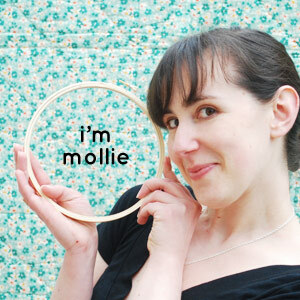 Good work Mollie! 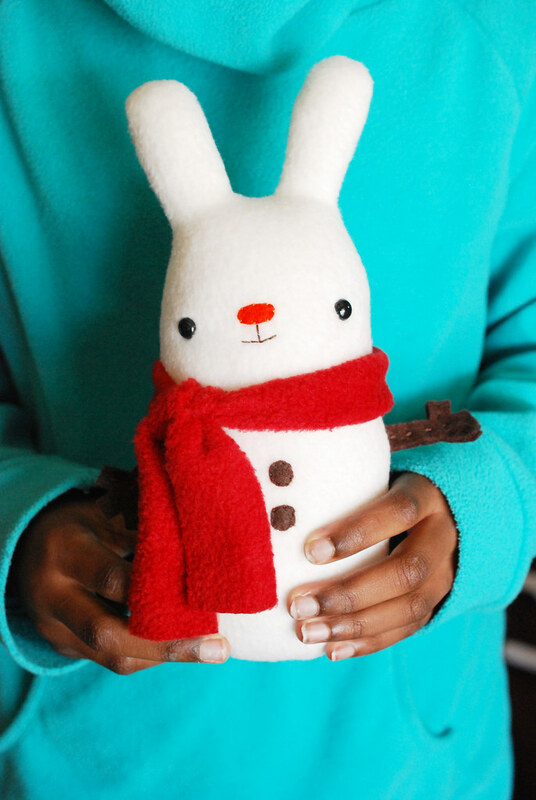 This snow bunny is really cute. 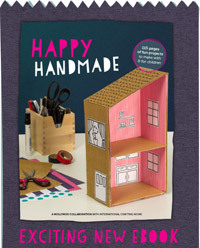 :) I think I might try to make one of these soon. What wintertime pleasure he will bring. Precious! I can see why you squealed! He is stupidly cute!! AHHHHH this is so cute. Haha! It's true! 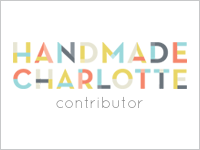 I squeal when I make things!